Rugby legend branch visit is a Try-umph! 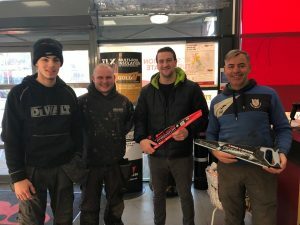 SIG Roofing welcomed rugby legend Lee Dickson to its Northampton branch for a one off open day where fans were able to take part in a meet and greet with their hero. 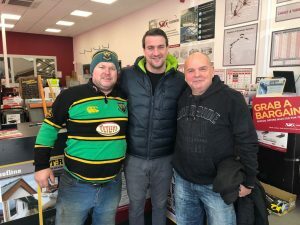 The ex-English Rugby Union and Northampton Saints star, who currently plays scrumhalf for Bedford Blues, attended the recently refurbished roofing supplier located on Millbrook Close to keep the customers’ spirits up as they braved the freezing temperatures experienced across Northampton last week. During the event, Lee met with local roofers and signed their beloved Saints shirts and memorabilia. Visitors were treated to breakfast and warming refreshments to set them off for the day, as well as a whole host of special offers on products in branch.